Born in Spokane to a music-loving family, Sister Kay’s life has been one of invitations, opportunities and rich experiences. She took on her first piano student at age 12, and later as a student at Holy Names Academy, Spokane, she was mentored by Sisters Frances Jean Paulsen and Marietta Coyle. Going on to Holy Names College, Kay enjoyed a unique time, which included the move of the college to its Fort Wright campus, where she catalogued the record library for FWC’s accreditation and studied with music mentors Sisters Flavia Bauer, Marietta Coyle, Xavier Mary Courvoisier and with visiting piano professor Dr. Bela B. Nagy who were all inspirations. In 1964, Kay entered the Sisters of the Holy Names, known for their music and art. Her teaching career began in 1967, at her alma mater in Spokane, followed by assignments in Richland and Tacoma, where she was also on the Ed Board that consolidated coed Bellamarine High School. She returned to HNA, Spokane, and with its closure became a music instructor at Fort Wright College, while continuing with piano and guitar students and the folk group at St. Aloysius Parish. Pursuing her own piano study with Dr. Nagy, she attended the master’s program at the University of Southern California and studied with Tchaikovsky competition winner Daniel Pollack. At Sister Lucie Hutchinson’s invitation, Kay joined the Marylhurst College music faculty teaching alongside Sisters Anne Cecile Daigle and Mary Claudia Foltz. She then spent 14 years at Holy Names in Seattle. She returned to Spokane after a death in her family and began teaching at Holy Names Music Center. She took on a challenging but rewarding responsibility taking in her nephew, parenting a junior high boy through high school and into college. 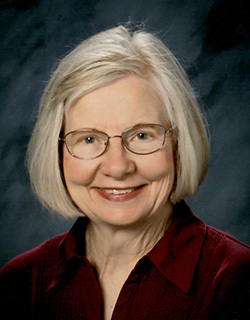 Since the late 60s, Kay has been enriched by liturgy programs both as a participant and leader wherever she has lived. She was also enriched by her participation with several symphony chorales with performances throughout Washington State, and in Carnegie Hall and in Beijing. She plays with the Holy Names Music Center’s New Horizon Orchestra Program and a senior string ensemble and continues to teach piano students ranging from age 4 to retired persons and is involved with some grade school music classes. Throughout her career, Kay has striven to follow or lean on the shoulders of her great teachers and mentors as she carries on the Holy Names tradition, sharing the riches of life and music that she has been given and for which she is most grateful.